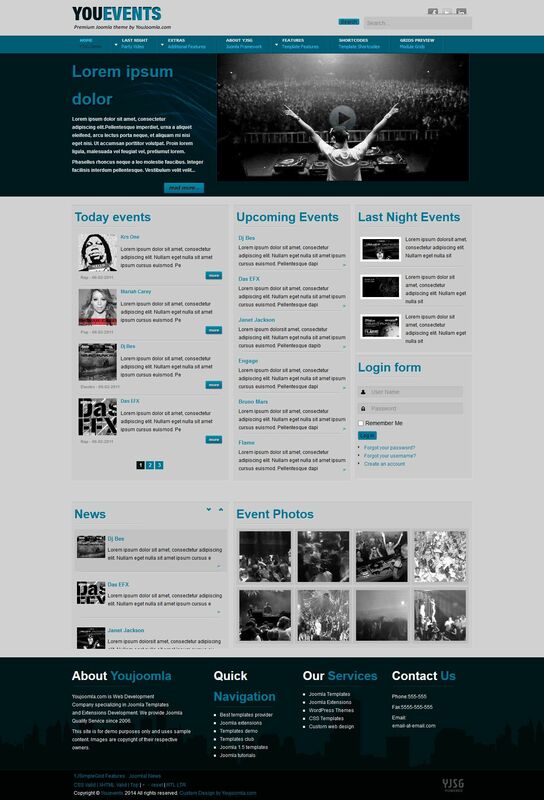 YJ Youevents - superb template for creating multimedia portal from a professional design studio Youjoomla. This template is designed with excellent color performance, which can give a sophisticated and original view any portal. Multifunctional studio platform that runs the template is responsible for adaptive layout properties, its optimization and fast speed. In the installation package with the demo data consists of the best extensions available for club subscribers. Using modern web - standards added custom template potential and opportunities that can assess each user site.